Would you like to become a professional in the hospitality and gastronomy industries? 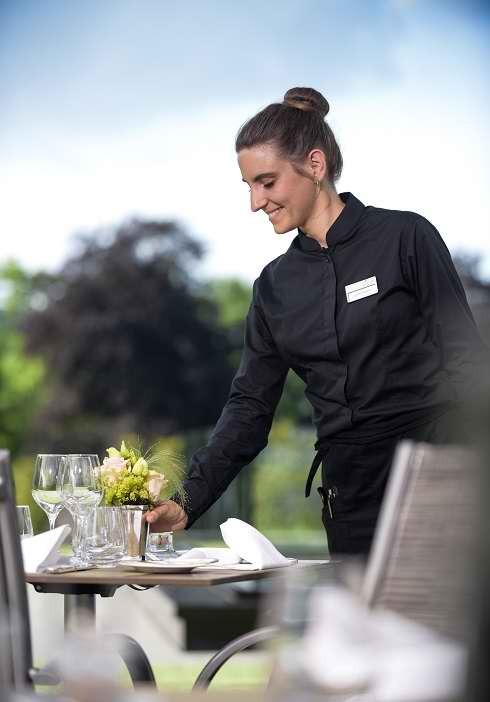 The degree and training programmes of the Hotel Management School of Geneva are for you. Our school’s aim is to do everything possible to make our students highly qualified professionals able to assume positions of responsibility in the hospitality, catering and service industries. That is why we design and deliver dense education that is constantly adapted to the ever more demanding requirements of these professions. With our hospitaliy degree program, you will have the choice between 2 and 3 years, depending on whether you are already a professional in the sector or a future professional who is discovering the trade and wants to gain all the advantages. In both cases, it will be necessary to make a daily investment to succeed in your studies and to obtain your degree. The density of the content and the steady pace of the training require constant attendance and commitment, as well as extraordinary motivation to achieve excellence ! Acquiring all knowledge from our courses involves a true contract of trust between the teaching teams and the students. Know that from the first day of joining the school, we consider you as future professionals motivated by the desire to succeed. The content of school modules is the result of a constant effort to adapt to the requirements of the sector. Our teaching is gradual and oriented towards the acquisition of balanced theoretical and practical knowledge. It includes all the skills you will be required to master in the career of your choice. Reinforced by internships in real-life conditions, the course modules are interlinked and give you an advanced theoretical foundation, enhanced by concrete experience of 12 to 30 months..